Emirates has been recognised as the ‘Best Airline in the World’ at the inaugural TripAdvisor Travellers’ Choice Awards for Airlines. In addition to clinching the grand prize, the carrier was the biggest winner overall after bagging four additional awards including Best Major Airline - Middle East & Africa, Best Economy Class, Best First Class and World’s Best Airlines - Top 10. It’s the first year that TripAdvisor has introduced a category for airlines in its Travellers’ Choice Awards, which highlight the world’s top carriers based on the quantity and quality of reviews and ratings for airlines worldwide gathered over a 12-month period. “We are honoured to be named the Best Airline in the World at the TripAdvisor Travellers’ Choice Awards for Airlines 2017,” said Emirates Airline president Sir Tim Clark. “The fact the awards are a result of unbiased reviews and feedback speaks volumes about our commitment to deliver a superior travel experience for our customers. 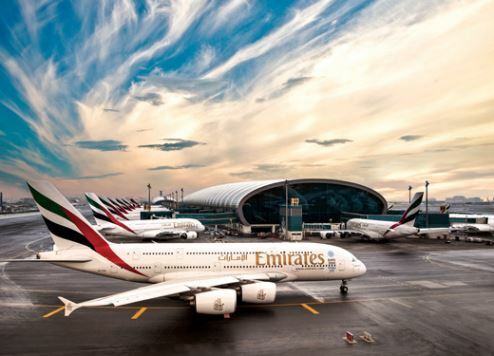 Emirates is the world’s largest international airline, with an extensive network that has grown to offer its customers a choice of 155 destinations in 83 countries across six continents. It operates one of the world’s youngest modern wide-body fleets, and is the first and only airline in the world to operate a fleet of all Airbus A380 and Boeing 777 aircraft for passenger services. The airline recently announced a multi-million-dollar cabin interiors upgrade programme including an enhanced Onboard Lounge for its flagship Airbus A380 aircraft, which will make its debut in July.